Erlenmeyer Mug, Glassware: Educational Innovations, Inc. 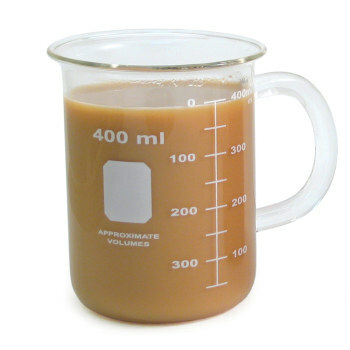 These unique mugs are cut down from Erlenmeyer flasks. Perfect for coffee or tea. As a bonus, because they are wider at the base than the mouth, they resist tipping and spilling on your grade book. These borosilicate mugs also make eye-catching candy dishes or pencil holders. A great gift idea. These mugs arrived quickly in packaging that fully protected them. They look fantastic, are very durable and overall quality is excellent. They are exactly as advertised and I highly recommend them! The product came in within a week and looks just like the picture on the site. I'm sure my chemistry teacher will love it! I made some hot chocolate with my brand new Erlenmeyer flash mug, and it broke while stirring. Very disappointing. I expected a more durable product, comparable to a real flask. The walls are too thin. Owner Response: Hey Dan, We're so sorry! We have never had durability issues with these mugs before. Someone from customer service will be in touch and will get a new one right out to you. I use my mug everyday. 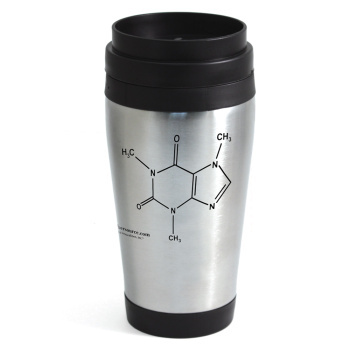 I bought 30 of these mugs and used them as gifts for our Science Olympiad supporters. I had an extra one that I used for a raffle in my class. In both instances they were a hit. I also love the free shipping, I received my order in a timely matter. I got the Ernlenmeyer and the beaker Mug for my student teacher. I filled one with pencils and one with candy and then put them in a bag with a thing of coffee grounds. He loved it! It holds a lot of liquid, it's sturdy and it has to be the best mug I have ever received. Love it! I was surprised how fast the delivery was and very pleased with the quality of the item. The mug is exactly as described/shown on line. It made a cute gift for one of the A&P instructors I work with. The least expensive shipping option was over $13 though! It did arrive quickly and packaged very well. Love the Erlenmeyer! Careful about washing it though - the shape makes it easy to chip or break... especially since the little ones love them! I bought this as a gift for my friend and she was immediately the center of attention at work. This was so unique that I even bought one for myself. It is sturdy, stable, and just plain old fun. I've had a lot of fun with this cup and lots of folks asking for one! My favorite thing about it other than its good looks is that it doesn't tip! It also keeps things hot. I love it! Students can use the Erlenmeyer Mug in an investigation to plan and carry out fair tests in which variables are controlled and failure points are considered to identify aspects of a model or prototype that can be improved. Students can use the Erlenmeyer Mug in an investigation to develop a model to generate data for iterative testing and modification of a proposed object, tool, or process such that an optimal design can be achieved. 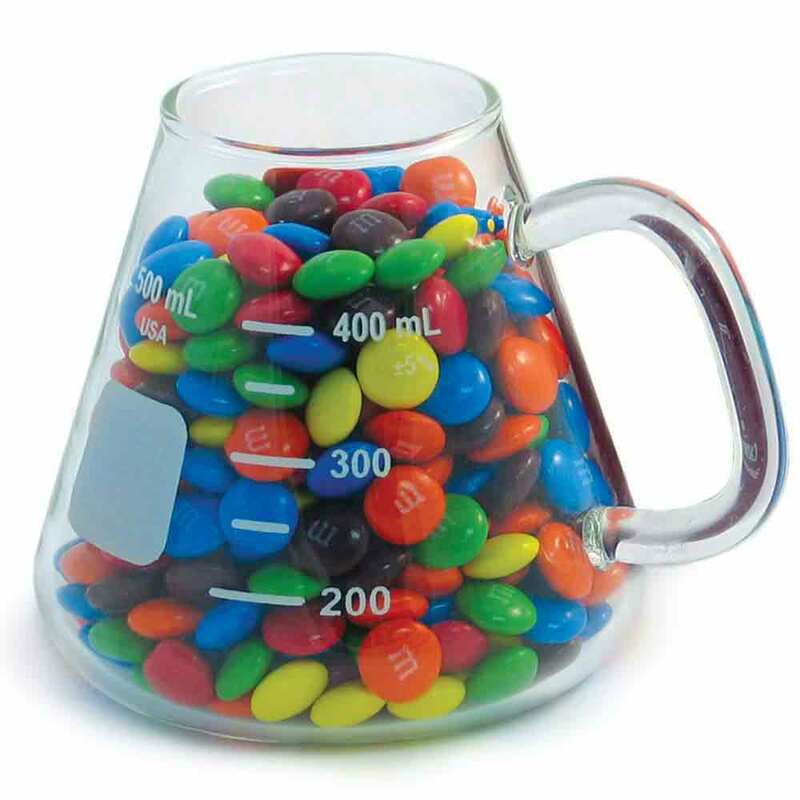 Students can use the Erlenmeyer Mug in an investigation to analyze and interpret data on the properties of substances before and after the substances interact to determine if a chemical reaction has occurred. 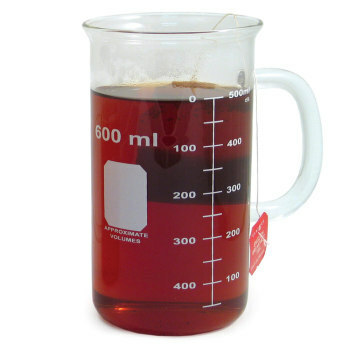 Students can use the Erlenmeyer Mug in an investigation to apply scientific principles and evidence to provide an explanation about the effects of changing the temperature or concentration of the reacting particles on the rate at which a reaction occurs. Students can use the Erlenmeyer Mug in an investigation to design a solution to a complex real-world problem by breaking it down into smaller, more manageable problems that can be solved through engineering. 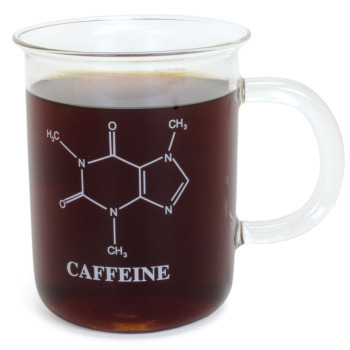 The Erlenmeyer Mug is every coffee or tea lover's best lab assistant. The wide base and narrow opening keep your beverage of choice secure. This mug with handle can be used for demonstrations. Students can see liquids being poured from one container to another without the demonstrator's hand getting in the way. It makes the handling of hot and corrosive liquids safer. The handle is especially helpful for younger students or individuals with dexterity problems. Made of borosilicate glass for long-term resistance to wear and chemical corrosion.